Aamer Nazir (born January 2, 1971, in Lahore, Punjab) is a former Pakistani cricketer who played in six Tests and 9 ODIs from 1993 to 1995. He almost achieved the rare feet of a hat-trick on debut but was denied by a poor umpiring decision by West Indian umpire Clyde Cumberbatch. 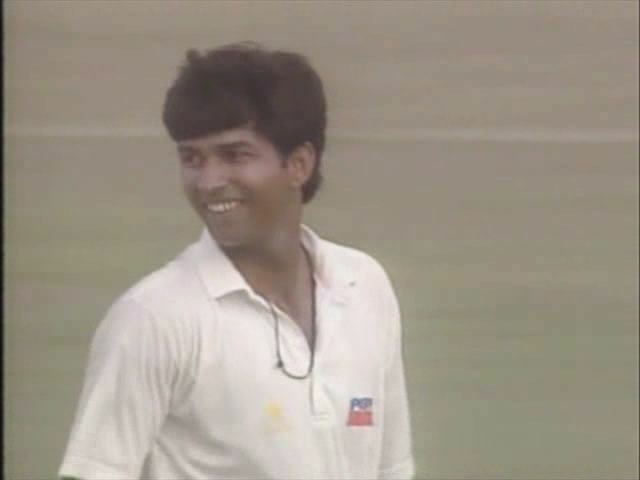 When Pakistan played a Test against South Africa in Johannesburg in 1995, injuries to pace bowlers resulted in a call-up for Nazir. Nazir was still on a 14-hour flight when he was named in the team, his plane landed an hour before play and he took the field 35 minutes late. When he bowled, he broke down with cramp.